Founded in 1990 as REACH Caregivers and well-known for its shelter program, REACH is a non-profit organization providing a wide variety of support services for those in need throughout Washington County Maryland. 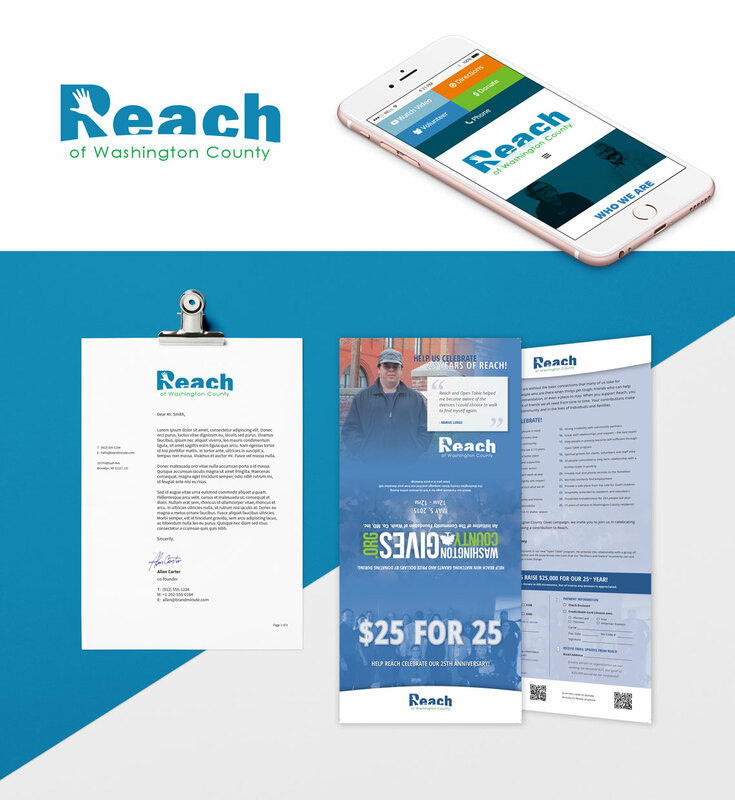 In an effort to make its many services better known throughout the community REACH hired DatAchieve Digital to provide web design, logo design and re-branding services for the organizations relaunch as REACH of Washington County. As REACH expanded the scope of its services, it was challenged with changing the community’s view of the organization as simply being a homeless shelter and informing the public of the many services it provides to people across the region and across socio-economic classes. REACH also needed a more effective way to solicit and manage volunteer activity and donations. DatAchieve Digital provided REACH with logo design, mobile-responsive website design, and video production services, as well as stationery and direct mail print campaign design. The new reachofwc.org website includes the ability to collect online donations and manage volunteer registrations.